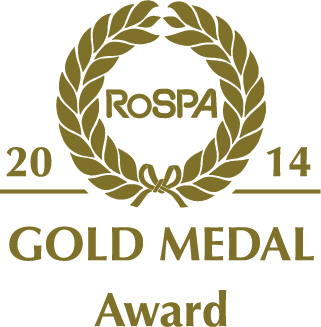 The Casey Group Ltd has been awarded another gold medal in the RoSPA Occupational Health and Safety Awards 2014. The Gold Medal (6 consecutive Golds) award in the prestigious annual scheme run by the Royal Society for the Prevention of Accidents (RoSPA) will be presented during a ceremony at the Hilton Birmingham Metropole Hotel, at the National Exhibition Centre, on May 15, 2014. Casey apprentice, Aston Roger, recently came runner-up in the Young Rising Star category at the Six Town Housing Community Star Awards 2014. Nineteen year old Aston has been working with Casey since September last year and is undertaking an apprenticeship in general construction. 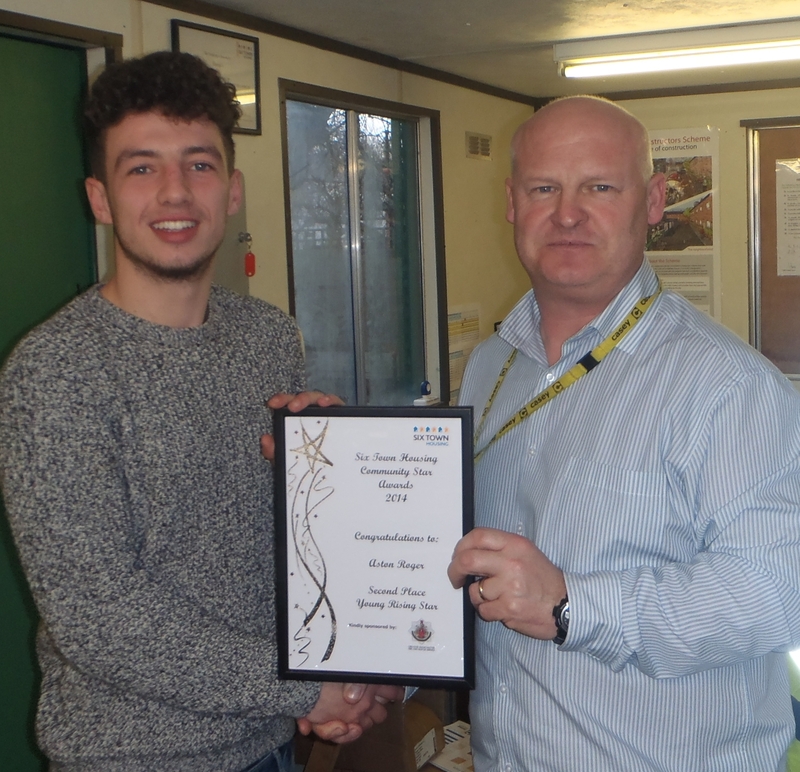 In the photo he is pictured holding his certificate, with Casey Site Manager, George O'Neill. Casey's construction division has been given a boost with two exciting project wins in the North West. The schemes reflect the increasing need for quality affordable housing and will help to alleviate increasing pressures on social housing waiting lists. Both of these schemes were procured through the JV North Contractors' Framework. We are delighted to be working with Helena Partnerships again on an exciting new development of 27 properties in St Helens. This is a design and build contract on an infill site between Egerton and Gower Streets. The scheme comprises 17 two-bed, two storey houses and 10 three-bed, two storey houses. The dwellings have been designed to achieve low energy and carbon emissions to meet current Building Regulations Part L, using thermally efficient and airtight construction. Heating and hot water requirements will be met using condensing boilers. The scheme will achieve Code for Sustainable Homes Level 3. Casey has recently completed a rural development at Holly Grove in Tabley, Cheshire, for Peaks and Plains Housing Trust. The sensitively designed scheme comprises eight properties, including a bungalow, two-bedroom flexi homes and three-bedroom houses. The development is now fully occupied with all homes allocated to people with a local connection. The properties have been built to exacting standards, with flexibility in mind. The two-bedroom homes can easily be converted to offer three bedrooms in order to accommodate a growing family, if needed. In December, the Trust was joined by Santa and his entourage to welcome the new residents, with mulled wine, mince pies and carols sung by the choir from Hurdsfield Primary School. Each resident was presented with a Christmas wreath from the team at Peaks and Plains to add some festive cheer. For the second year running, a major public park restoration scheme carried out by Casey has won the BALI Principal Award in the category of Restoration and Regeneration Scheme. Stamford Park in Stalybridge was completed in summer 2012. "This Heritage Lottery and local council funded restoration of a Victorian park Near Stalybridge, north of Manchester, has saved a once beautiful public space from neglect and abandonment. The contractor, and last year’s Grand Award winner, has used its well-honed expertise to transform the park. A large area has been re-graded and re-shaped; terraces, a reservoir, boating house and all railings have been refurbished; large ‘urns’ have been restored and repaired, water courses reconstructed; the list goes on. This was a major undertaking that has been completed with expertise and sensitivity by the contractor, resulting in excellent client satisfaction."